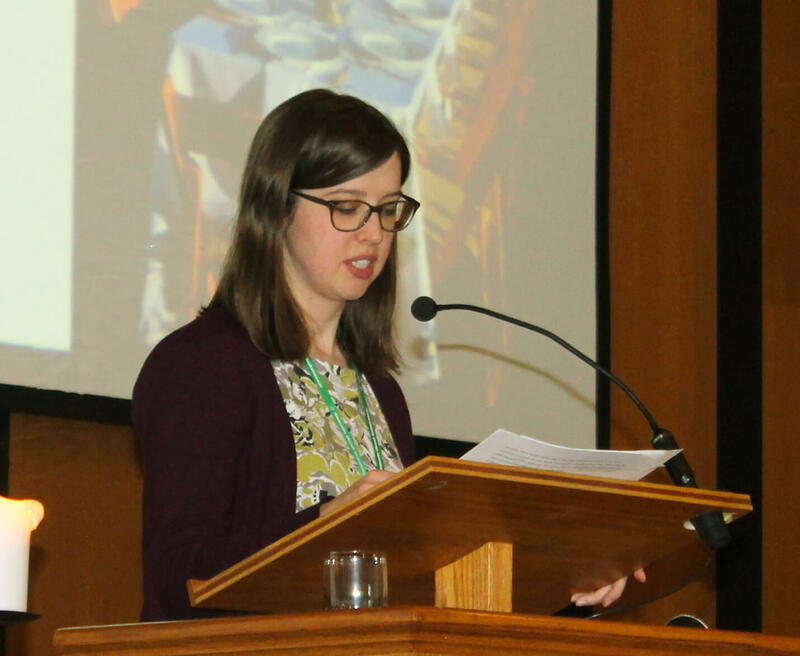 “Extending the table: Enough for all.” That was the theme chosen for Mennonite Church Saskatchewan’s annual delegate sessions this year, and as delegates and guests broke bread together, literally and metaphorically, they found there was indeed enough for all. Held March 10 and 11, 2017, at Nutana Park Mennonite Church in Saskatoon, the sessions were co-hosted by the Nutana Park and Pleasant Point Mennonite congregations. 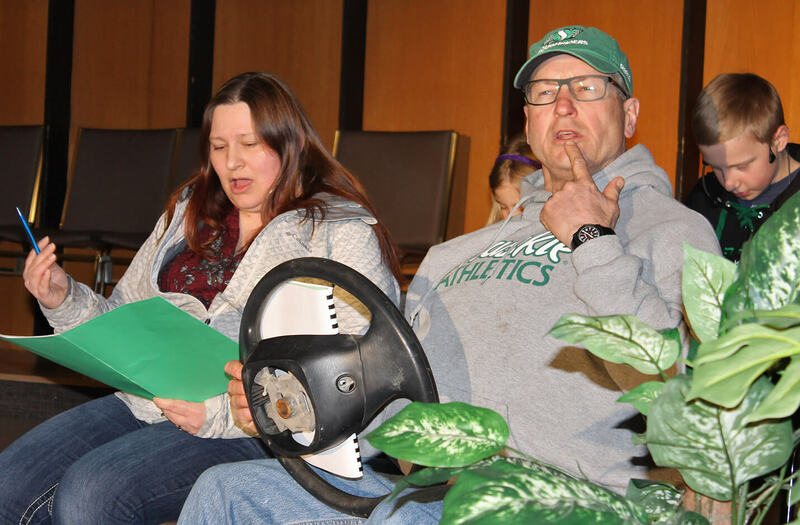 The March 10 evening worship featured a play, The Gospel According to Food, which was written and performed by members of Pleasant Point Mennonite along with friends from other congregations. In the play, a family addicted to junk food takes a closer look at their relationships with food. Along the way, the family discovers that food shared with friends can bring them into the presence of God. Susanne Guenther Loewen, pastor of Nutana Park, spoke about what the Bible has to say about sharing food. 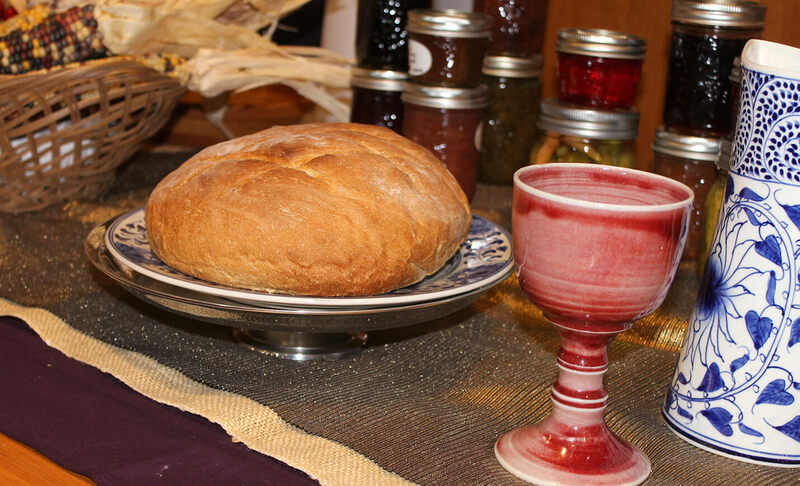 “Other meals are just as sacred as communion,” she said. That’s because “God becomes present in the gathered people.” As they eat together, “the community becomes transformed into the body of Christ,” she said. Business was also on the menu at the annual gathering. Mennonite Church Canada’s transition coordinator, Keith Regehr, presented the plans and proposed covenant for the new national body. The questions and comments delegates offered Regehr seemed to also reflect the theme of extending the table. Even the budget deliberations were a reminder that there is enough for all. Finance chair Gordon Peters explained that funding for the area church’s three camps had been removed, resulting in a surplus of $9,418. Reinstating the funding as it had been in 2016 would result in a $5,000 deficit. Ultimately, this is what delegates decided to do. Area church minister Ryan Siemens announced that MC Saskatchewan has contracted Betty Pries of the L3 Consulting Group to help the church set a direction for the future. 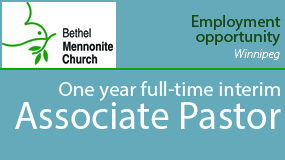 Dubbed “Refresh, refocus, renew,” the process will begin immediately with a survey of congregations. 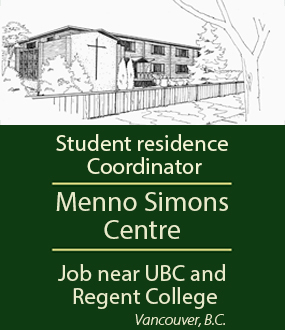 A mini-retreat, to be held at Mount Royal Mennonite in Saskatoon at the end of April, will engage the results of the survey. 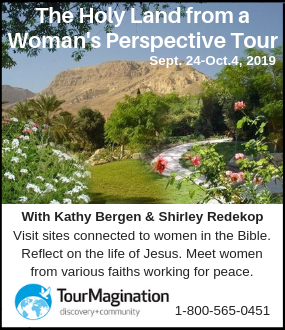 A second mini-retreat is being planned for September. The final phase of the process will take place at next year’s annual delegate sessions. An appointed committee made up of Martens-Funk, Pauline Steinmann, Josh Wallace, Siemens and Kirsten Hamm-Epp will work closely with Pries throughout the process. 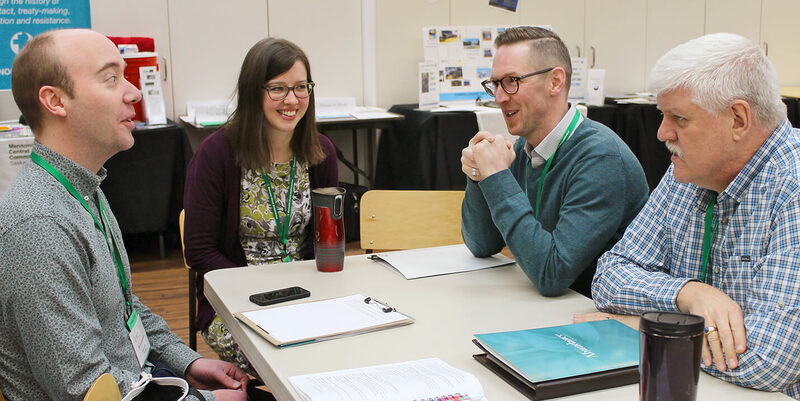 Patrick Preheim, a pastor of Nutana Park Mennonite Church, and Gord Enns of the Saskatoon Food Council hosted the workshop, which was held March 10, 2017, in conjunction with Mennonite Church Saskatchewan’s annual delegate sessions. Enns said the idea for the workshop sprang from a number of sessions he facilitated with Nutana Park’s adult Sunday school class. “The food systems lens is really my work,” said Enns, noting that politics definitely play a part in how food systems work. 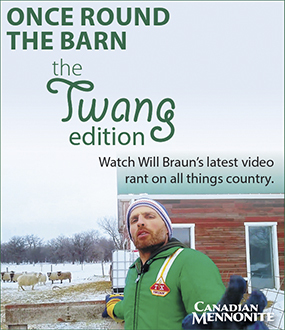 For instance, he said that Manitoba is able, in season, to meet 40 percent of its food needs with locally grown produce, while Saskatchewan meets only 5 percent of its food needs locally. “It’s strictly a matter of policy,” he said. The learning began with a tour of Station 20 West. The inner-city facility is home to a café and numerous service agencies working together to help meet the needs of low-income families. Following the tour, Enns introduced 10 presenters, representing various agencies, volunteer groups and movements related to food. Roundtable discussions gave participants an opportunity to ask questions and enter the conversation. Topics ranged from urban agriculture and shopping locally, to helping families access affordable and healthy food and using appropriate technology to feed the world.